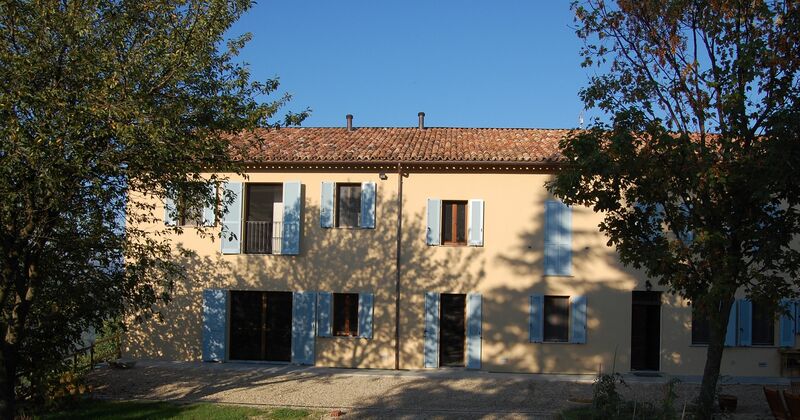 Welcome to Cascina Gallo Orsi, your home away from home! Whether you are seeking a peaceful retreat, or you wish to explore the Piedmont wine country you will find that our B&B will provide you with the best possible home base. Our renovated farmhouse is in the historic hill top village of Calamandrana Alta and has spectacular views of the surrounding hills, with their mosaic of vineyards, orchards, hazelnut groves and woods, sharing the beauty of our region, which was recently declared a UNESCO World Heritage Site for its magical Vineyard Landscape. We strive to run a B&B with the smallest possible ecological footprint; in our house and on our land we endeavor only to use organic & nontoxic products. We make our jams and other preserves from the produce of our organic orchard and kitchen & herb gardens. Our land, mainly comprised of woods and orchards, is quiet and cheerful, offering you an opportunity to: rest, relax and enjoy nature. The region around Calamandrana offers charming landscapes, historical landmarks, museums, the chance to enjoy hiking, biking, horse riding tours, excellent wines and the delicious specialty foods of Piedmont. We will be happy to offer you our experience and local knowledge in helping you to plan your stay.